Mt. 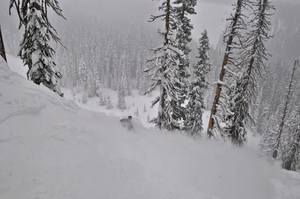 Hood Meadows offers arguably the most spectacular and varied terrain in the Northwest. We have a huge mountain with terrain for everyone, magnificent views and snowfall beyond belief. The staff are committed to providing you with a truly memorable and unique experience that is Mt. Hood Meadows. From the steeps of the front side bowls to the gentle slopes of our beginner runs, Mt. 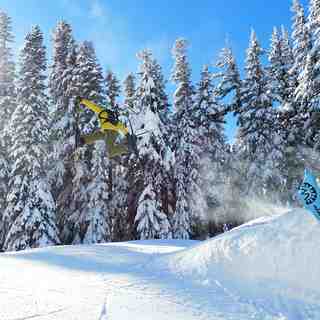 Hood Meadows Ski Resort terrain is known for its diversity and playfulness. Voted by Oregonians for having the best crusing intermediate terrain in the state, Meadows offers more than 2,150 acres of pure enjoyment. Rising to its highest lift-served elevation of 7,300 feet, you’ll feel like you’re on the top of the world as you take in a panoramic view to the east and south. Legendary Heather Canyon is like its own separate ski area - endlessly steep pitches of powder into the spectacular Canyon. When snow conditions permit, there’s an additional 1,700 vertical for hikers who want to drop into the double blacks of Super Bowl above Heather, to bring the total vertical available in just one run to almost 4,500 feet. Meadows has something for every snow enthusiast. 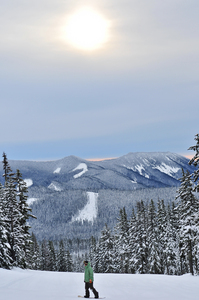 With 12 lifts, including six high-speed quads, all the skiable terrain is easily accessed. 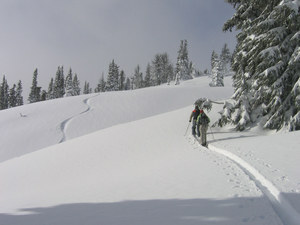 Meadows also offers Nordic skiing, with a total of 15 groomed kilometers for both skate skiing and classic skiing. For park riders, we have 5 parks along with a minipipe and a superpipe. I've skied and snowboarded Meadows for over 25 years and still discover new terrain and runs each year. It's got everything from gentle beginner slopes, which helped when teaching my 2 and 4 year old daughters, to wide open bowls and steep tree-ed double diamond terrain. Those who complain about the crowds likely have little experience at other ski areas... Meadows on it's most crowded day is less crowded than any New England or Utah ski area on a weekend. There are quite a few grumpy old outdoor dudes that complain about their terrain access being limited by avalanche control and if you ski on a powder day you'll have to listen to them grumble and make snarky comments to the ski patrollers and lift operators. 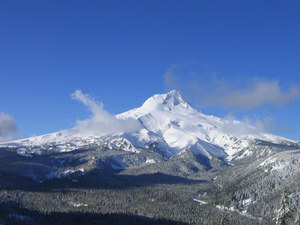 Mt Hood is prone to getting lots of snow and can have dangerous conditions or need storm recovery. This may require extra time. If you can't appreciate your time here, stay home, we won't miss you! I've skied bigger and better mountains for sure but I'll buy a season pass at Meadows every year.